At least 21 people were killed earlier this week when a group of al-Shabaab fighters attacked a hotel complex in Kenya’s capital Nairobi. The group itself, affiliated with Al-Qaida, has claimed that the attack was in reaction to U.S. President Donald Trump’s decision to recognize Jerusalem as the capital of Israel. While this is not the first time that Kenya was attacked by the group, it comes as a shock to those seeing Kenya as an island of relative stability in East Africa. Why was Kenya attacked in the first place? What could be the consequences for local stability? And what should the Kenyan government do to restore order and mitigate the situation? In our #ExpertInsight, Fabio Sälzler, Analyst at CONIAS, provides more information on why it’s worth keeping an eye on Kenya in the following weeks. Fabio, you have been following political risks and developments in Kenya closely in the past months, how do you assess the overall situation in the country, which regions are usually affected by violence? Despite the attack, the general security situation in Kenya is not too critical. Quite the opposite, a cooperation agreement between President Uhuru Kenyatta and opposition leader Raila Odinga after the turmoil following the 2017 elections appears to have mitigated political tensions. However, the government needs to address both sustained intercommunal violence, especially in the Rift Valley and the insecurity caused by al-Shabaab in the Eastern border regions to Somalia. Al-Shabaab has been founded in Somalia and remains associated by many as part of local strife there. Did the attack in Kenya hence come as a surprise to you? Kenya has been attacked by al-Shabaab before and is likely to remain a key target in the future for several reasons. 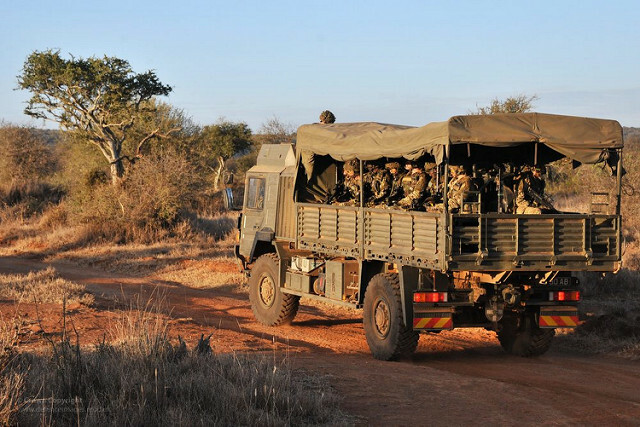 First, Kenyan military forces actively fight the group, since 2011 through a military deployment in Somalia itself. Second, due to the recruitment of Kenyan-born fighters with local knowledge, the country has become an “easier” target for al-Shabaab. Third, due to its close links to the United States and the West in general, as well as its popularity with tourists worldwide, Kenya makes a tremendously attractive target for the group. Kenya's relatively unrestricted media coverage and its international "visibility" is utilized in order to boost its reputation as a significant force in the region. What will be the consequences of the attack for Kenya and the region? What are the challenges the government faces now? The attack has demonstrated that two issues need to be prioritized by the government in the near future if Nairobi aims to prevent further instability and violence. First, Kenya needs to increase its border security in the East. Second, the government should increase its efforts to address the local communities. Kenya has to further decrease the feeling of marginalization among its Muslim population. By promoting national unity and demonstrating state capacity across every region, it can decrease al-Shabaab’s appeal to locals and diminish its successes to recruit fighters among the Kenyan population. In this effort, however, it is key that authorities do not repeat their past mistakes such as reprisal attacks against Muslims and ethnic Somalis as happened unfortunately in the aftermath of the Westgate Mall attack in 2013. Fabio Sälzler is a Risk Analyst at CONIAS Risk Intelligence with a special focus on conflicts in Sub-Sahara Africa. His research focuses on transnational conflicts in Sub-Sahara Africa and international relations of African states. The questions were posed by Dr. Magdalena Kirchner, COO of CONIAS Risk Intelligence.